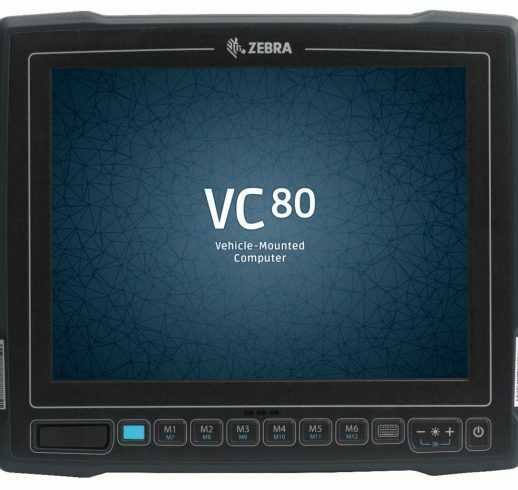 The VC80 vehicle-mount computer from Zebra features a fully rugged design, including with dust-and-water tight IP66 sealing, sealed connectors, and extreme temperature, shock and vibration resistance. It has been built to be used in indoor and outdoor environments — from warehouses and distribution centres to airports, seaports, railway yards and more. Its compact design and flexible mounting options make the VC80 easy to install in forklifts, clamp trucks, yard mules, cranes, and any other material handling vehicles. With either a 1.33 GHz Intel Duel Core processor, or 1.91 GHz Intel Quad Core processor, the Zebra VC80 brings desktop computing power into your warehouse — including in freezers, with frost and condensation free touchscreen, board and battery heaters, plus smart temperature sensors that automatically control the computer’s heater and heating speed. 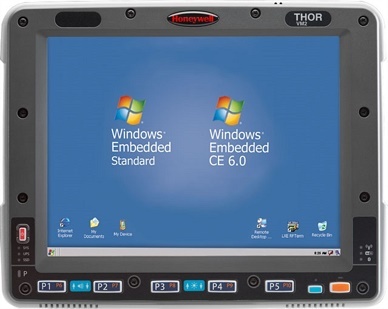 The VC80 supports Windows Embedded Standard 7 or Windows 7 Professional operating systems. 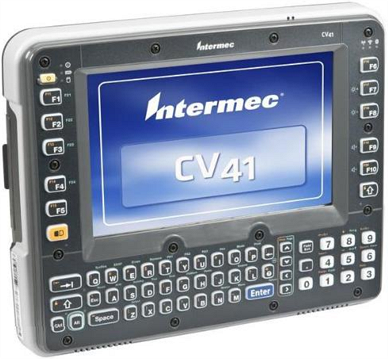 Programmable keys simplify the most complex operations and the field-replaceable touchscreen or optional keyboard can be used even with the thickest gloves. 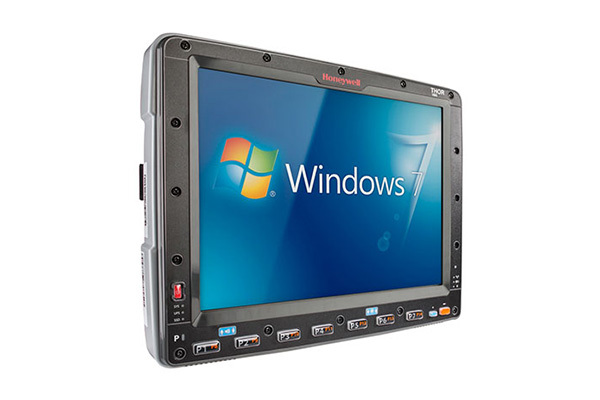 For outdoor operations, choose 1,000 NITs for a super bright screen that is easy to see. 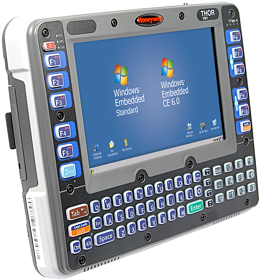 For more information about the Zebra VC80 Vehicle-mounted Computer, contact Dematic Real Time Logistics today. Freezer-ready with frost and condensation free operation with touchscreen, board and battery heaters, plus smart temperature sensors that automatically control heater and heating speed. 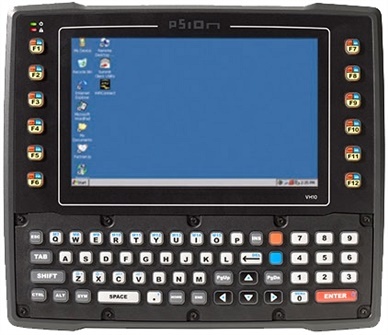 Fully-rugged design, with dust-and-water tight IP66 sealing, sealed connectors, and extreme temperature, shock and vibration testing. Six direct and six soft programmable keys. Very loud front facing speaker and instantly accessible volume control make it easy to hear scanner feedback and app notifications. Multiple mounting options, including standard RAM mounts combine with a compact size for an easy fit and easy mounting. 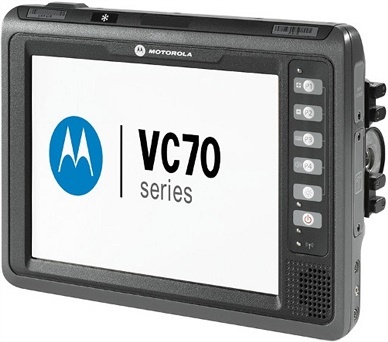 A 10-second quick release mount makes it easy to move the VC80 to another vehicle during vehicle maintenance or device repair. The touchscreen’s soft keyboard and haptic vibration feedback make it easy to use touch input, even with the thickest gloves. Choice of a dual core 1.33 GHz with 2GB RAM or a quad core 1.91 GHz processor with 4GB RAM. Support for the latest Wi-Fi standards — 802.11a/b/g/n/ac — plus a choice of internal or external antennas. Windows operating system (OS) support for either the Embedded Standard 7 or Windows 7 Professional, and is also Windows 10 ready.